[S63] First-hand knowledge and personal recollections of Beverly Melat Sisson (Warren, PA), as told to Kipp Melat. Notes in Personal Files (Fairfax, Virginia). [S1290] Obituary of Beverly J. Sisson, Times Observer, Warren, PA, 14 Apr 2015. [S69] First-hand knowledge and personal recollections of Donna Scharf Reese (Seneca, PA), as told to Kipp Melat. [S10] Venango County (PA) Marriage License, Marriage license of Gregory Reese and Malinda Phipps, Registrar & Recorder's Office, Courthouse, Franklin, Venango County, Pennsylvania. [S10] Venango County (PA) Marriage License, marriage license of Brian Reese and Susan M. Evanoff, Registrar & Recorder's Office, Courthouse, Franklin, Venango County, Pennsylvania. [S1244] Facebook, online www.facebook.com, Amy Cannon Reese. [S1282] Worldconnect, online http://worldconnect.rootsweb.com, Shanon and Melanie's Genealogy (unknown location), downloaded 27 Sep 2004. [S70] First-hand knowledge and personal recollections of Dotty Haylett Reese (Lexington Park, MD), as told to Kipp Melat. [S7] First-hand knowledge and personal recollections of Kipp Melat (Fairfax, VA). Notes in Personal Files (Fairfax, Virginia). [S71] First-hand knowledge and personal recollections of Muriel Reid Harry Reese (Seneca, PA), as told to Kipp Melat. [S962] "Obituary of Muriel R. Harry Reese," The Derrick (online), Oil City, PA, (www.thederrick.com), 6 Aug 2015. Hereinafter cited as The Derrick. [S8] Obituary of Paul E. Steffee, The Oil City Derrick, Oil City, PA, 18 Sep. 2000, Oil City Library, Oil City, Venango County, Pennsylvania. Hereinafter cited as The Derrick. [S962] "Obituary of Robert Melat Steffee," The Derrick (online), Oil City, PA, (www.thederrick.com), 19 Aug 2011. Hereinafter cited as The Derrick. [S962] "Obituary of Janet Alene McKissick Steffee," The Derrick (online), Oil City, PA, (www.thederrick.com), 15 Aug 2015. Hereinafter cited as The Derrick. [S396] Gravestone, Brandon Cemetery, Cranberry Tp., Venango Co., PA; read by Kipp Melat, 1981. [S1243] Worldconnect, online http://worldconnect.rootsweb.com, Family Tree of Monica Lewis (unknown location), downloaded 2 Jan 2011. [S72] First-hand knowledge and personal recollections of Grace Lewis Melat (Meadville, PA), as told to Kipp Melat. Notes in Personal Files (Fairfax, Virginia). [S8] Grace Lewis Melat obituary, The Oil City Derrick, Oil City, PA, 25 May 2004, Oil City Library, Oil City, Venango County, Pennsylvania, (states she was born in Whittier, CA and her middle name is spelled Lucina). Hereinafter cited as The Derrick. [S212] Leon Melat and Grace Lewis wedding announcement, Venango Citizen Press, Franklin, PA, 9 Aug 1933, Pennsylvania Room, Franklin Library, Franklin, Venango County, Pennsylvania. 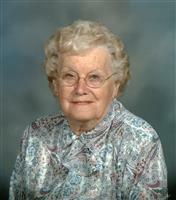 [S8] Grace Lewis Melat obituary, The Oil City Derrick, Oil City, PA, 25 May 2004, Oil City Library, Oil City, Venango County, Pennsylvania. Hereinafter cited as The Derrick. [S250] Rootsweb World Connect, online http://worldconnect.rootsweb.com, Hohmann/Selfridge/McAnallen Tree, updated 15 Sep 2009, Bill (e-mail address).